The Episcopal Church owes its foundation to Jesus Christ, and its bishops (spiritual leaders) trace their line unbroken back to the first disciples. This is a CATHOLIC church, remaining true to the beliefs and worship of the church from the earliest of times. It is also a REFORMED church, much of whose structure was formed during the English Reformation of the 16th Century which is where the term “Anglican”—member of the Church of England– is derived.The first English words of Christian prayer in North America were Anglican, and many of our nation’s founding fathers were among the first Episcopalians. Episcopalians believe Jesus Christ is the Son of God, and that through his life, death, and Resurrection we are shown how to live our lives with God. Through Him we will be raised to eternal life in heaven. The BIBLE is held to be the inspired word of God, and to contain all things necessary for salvation. The TRADITIONS and teachings of the church over the centuries, together with the divine gift of human REASON, help interpret the Bible and discern its meaning for us today. The historic CREEDS (concise statements of belief) of the church are a foundation of Anglican thought, and the Nicene Creed of 325 is recited at every Sunday service. 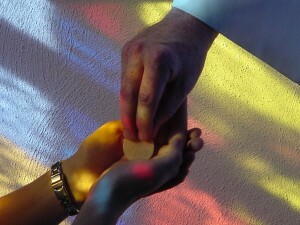 The SACRAMENTS of the church— Holy Eucharist, Holy Baptism, Confirmation, Marriage, Reconciliation, Unction, and Ordination—are ways in which we experience the grace of God, alive and present in our lives in a unique and visible way. Episcopalians believe that every person in the congregation is a ministers of the church. Among these, some are uplifted through ordination into roles of special service and leadership. These are deacons, priests and bishops. The head bishop for the United States is called The Presiding Bishop, whose office is in New York City. Most importantly, we are a caring and loving community whose members support one another as we all attempt to follow Jesus Christ more and more closely. No human being is perfect, and as we stumble and fall in life we look for the help of the Christian community and the grace and forgiveness of the Holy Spirit. As Anglicans, we are members of the 80 million member Anglican Communion around the world. These are independent churches who look to the head of the Church of England—The Archbishop of Canterbury—for spiritual guidance. We pray for one another and the differing needs and concerns of an incredibly diverse Christian family all around the world. The liturgies of the Episcopal Church create an environment where we can experience the vast mystery of God and the wonderful love God has for us. Services are based on millennia-old Jewish and Christian traditions that touch the essence of the human condition. They bind together music, prayer, ritual, and learning in a reverent and moving way that can touch our hearts, nourish our souls, and connect us with the great pulse of life that derives from the Creator of the universe. 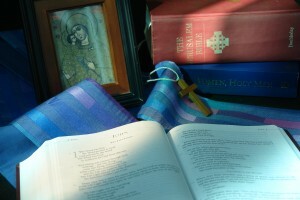 The liturgies of the church are found in The Book of Common Prayer, one of the oldest collections of Christian worship in the world, and one that historically has changed and evolved, continually rooting the worship of the church to her people and her God in a meaningful, relevant, and lively way. Visit the Episcopal News Service here.